Brenden Kennedy never anticipated his idea to start a hockey team at his elementary school would spawn a community-police partnership to get kids on the ice playing hockey. 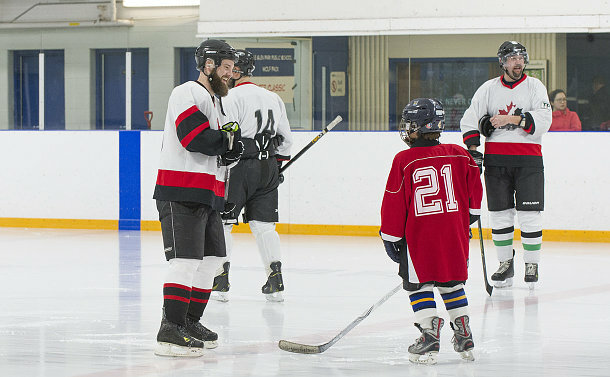 Now 16, Kennedy, lobbied his then-vice-principal Corey Birnbaum while in fourth grade at Glen Park Public School to create the Wolf Pack team and now has seen his vision grow into six seasons of hockey where police officers now join volunteers and teachers in mentoring grades four to six students. “Hockey is a great sport, a great experience and a way to make new friends. It’s a really Canadian game and I wanted to give everyone a chance to play,” said Kennedy. The team is coached by his father, Colin, and Glen Park teacher Flavia Ferrero. The team's logo was designed through a contest at the school. Kennedy, who has worked as a Youth In Policing Initiative student, said having officers out breaks down barriers. “It was good to see them in a whole different way – that they’re doing stuff in the community,” said Kennedy, who is now a Grade 10 student at Lawrence Park Collegiate Institute. “Every year we have more and more kids coming out. I would have just been happy to have the team playing each year. Now we have a Winter Classic, it’s great. Eventually I’d like to see the Wolf Pack win a championship,” Kennedy said. 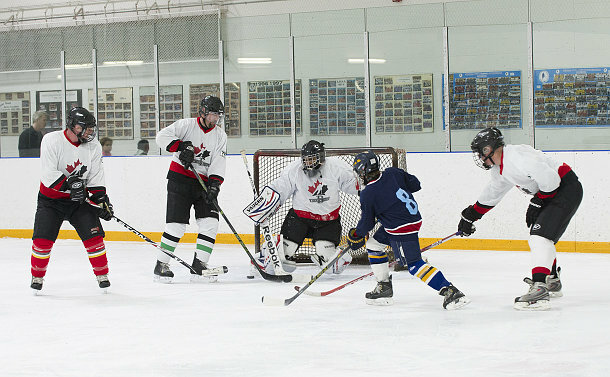 The 3rd Annual Winter Classic was held at Baycrest Arena, where Glen Park teams faced off against other schools and 13 Division played a game against Wolf Pack Alumni. 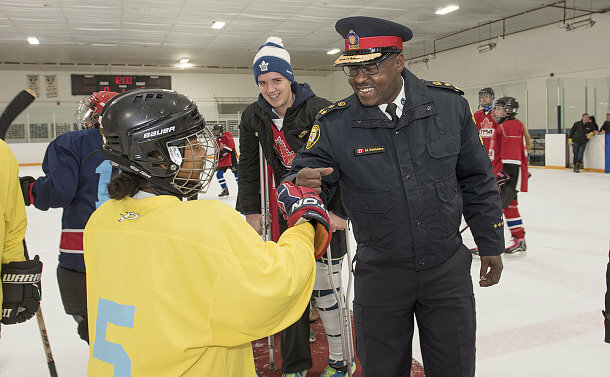 Chief Mark Saunders dropped the puck for the game urging the kids to continue following their hockey dream and working with their local officers. School Resource Officers Constables Rui Simoes and Melissa Kulik have been part of Wolf Pack practices all year. “It generates great community-police relationships and it lets kids who might not otherwise have the opportunity to play hockey,” Kulik said. She has loved seeing the students progress from never skating before to flying around the rink care-free. One girl now plays rep hockey for the North York Storm after never playing hockey before joining the Wolf Pack. KidSport has donated hockey equipment since the Wolf Pack’s beginning.